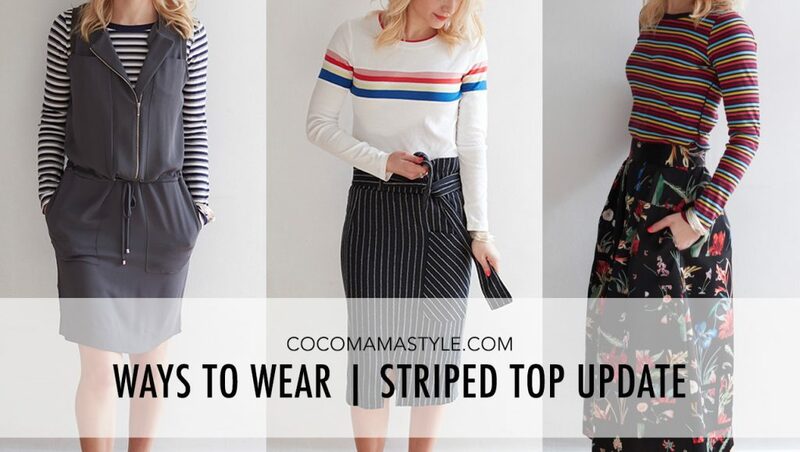 The striped top; it’s known as a mum staple, but how can we elevate this simple tee to new levels to make it work, weekend and occasion appropriate to bring it into the new season as a trend piece? Add colour and variation with your stripes and be inspired by the Spring Summer runways to introduce print clashing, stripe on stripe action and a sporty twist to your style. 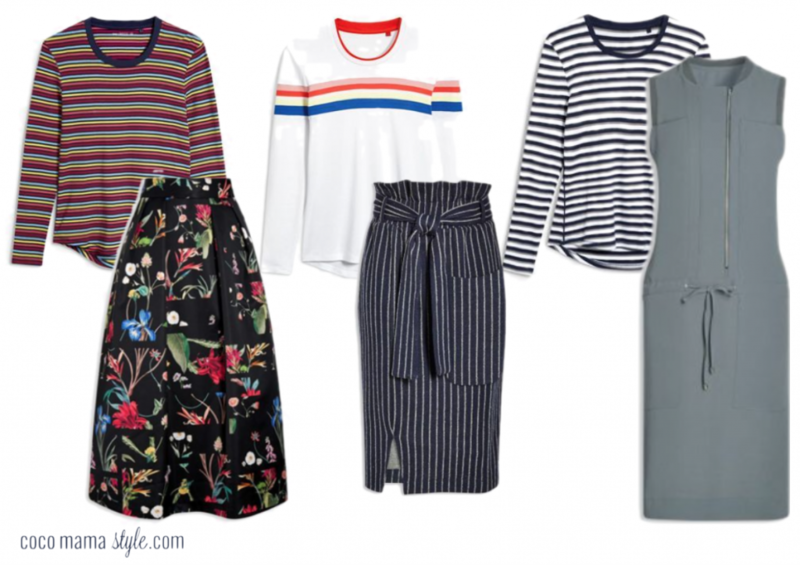 I spotted these 3 Next striped tops while browsing Octer for some stripey wardrobe additions and all three update the classic breton with colour and stripe variations. In soft jersey with a gently fitted shape they are ideal for layering and tucking in, offering up an easy addition to the transitional wardrobe. Clashing prints is no new way to build an outfit but it’s becoming increasingly more mainstream which means the rulebook has officially been torn up and therefore fear of getting it wrong needn’t be an issue. That said, it can be a little daunting standing in front of the wardrobe wondering what to put with what and how much clash is too much. Start with prints in a similar colour palette and take it from there. 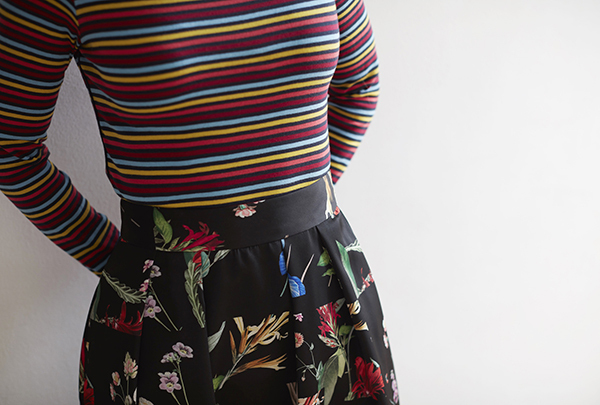 Stripes and florals work well together but if you’re a total print-mash-up novice start by adding a patterned shoe or bag into an outfit with a striped top. 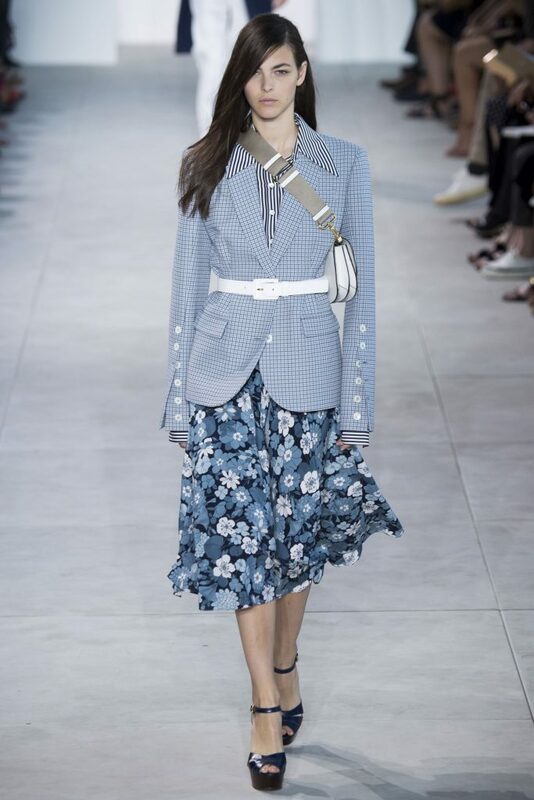 Keep it tonal for fail-safe print clashing as seen at Michael Kors Collection; 3 different prints (graph paper check, stripes and a retro floral) in one outfit were styled together on the runway but the varied shades of blue with white accents pulls the prints together for a balanced outfit. 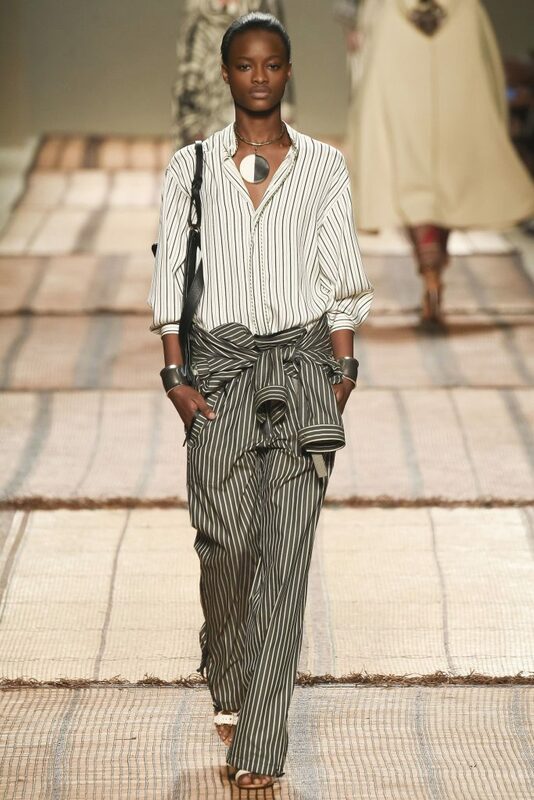 Stripes are a key trend in their own right this season and not in the nautical but nice way we’re used to seeing; instead it’s all about two-tone pinstripes and pyjama-striped shirts on the one hand with the brightest and boldest of linear looks at the other end of the striped spectrum and wearing stripe-on-stripes. So what do I do? Why, wear the bright and bold and the pinstripe in one look. Add a neat jacket and it’s a smarter day look that’s office-appropriate; throw on a leather jacket and trainers and you’re styling out the school run; or, if your schedule allows, how about a look that’s all set for a ladies’ lunch. This season there’s no such thing as too many stripes and when it comes to updating workwear, the pinstripe returns. Use this fine-lined print to add a smarter edge to daywear – perhaps a wide legged pinstripe trouser worn with white trainers or pinstripe shirt with jeans. Be inspired by Etro and pair light lines with dark in different widths for contrast or try vertical next to horizontal bands. Embrace the sporty feel of a zip front dress with utility pockets and drawstring waist by pairing with trainers or plimsolls. Use a long sleeve striped top to layer underneath a sleeveless or shorter-sleeved dress to get more wear during the cooler months. 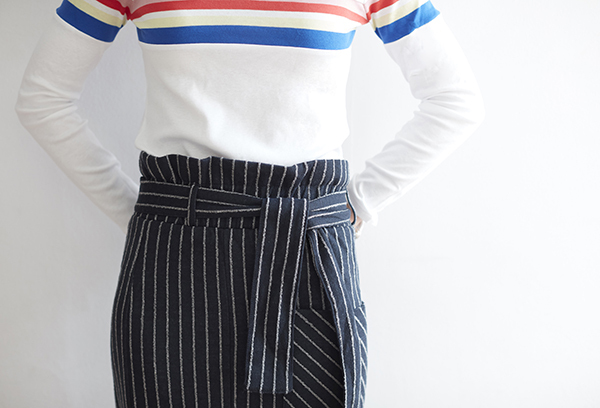 Stripes add your element of print to an otherwise plain outfit. Just add a bright bag to introduce colour to your look. The sporting influence on fashion isn’t going anywhere and zips, drawstrings, toggles and athletic-inspired detailing is accenting all items in our wardrobes. 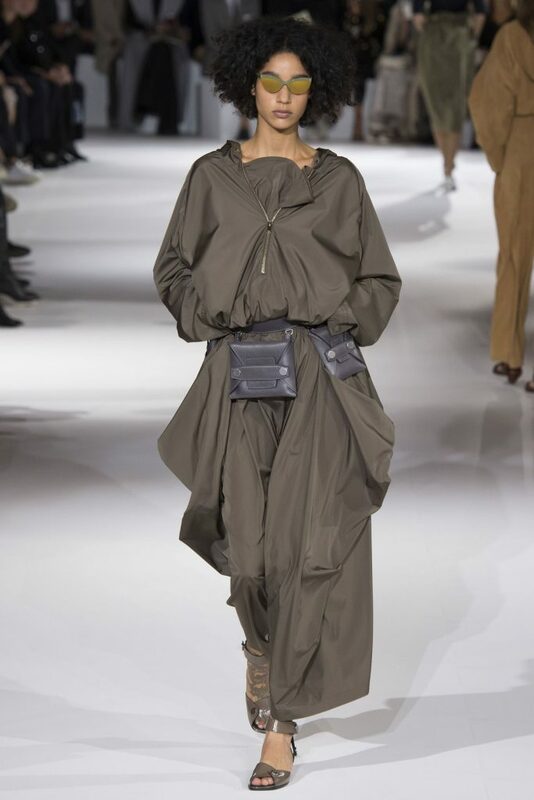 At Stella McCartney this season volume is key with pull cords and belts creating shape at the waist. Hello Helen, you have shared a wonderful blog ever; I had never seen any blog like this. Really all the pictures are awesome. Thanks for sharing this amazing blog. I love the stripes with the long floral skirt especially. Thank you so much for sharing! Nice Blog! Should buy more stripes to spice my outfit anytime.